I admit it, I have a slight addiction to all things pumpkin spice. Call me a millennial (I am one), call me a sucker for marketing (I am totally a sucker for marketing), call me a lover of this fall tradition (I totally love this tradition). 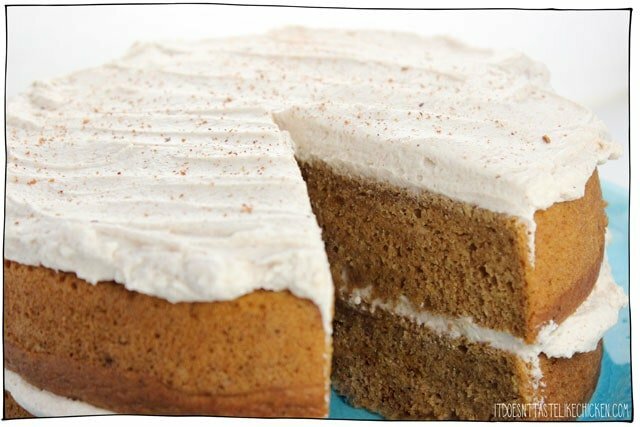 Seriously, what’s not to like about Vegan Pumpkin Spice Cake!? 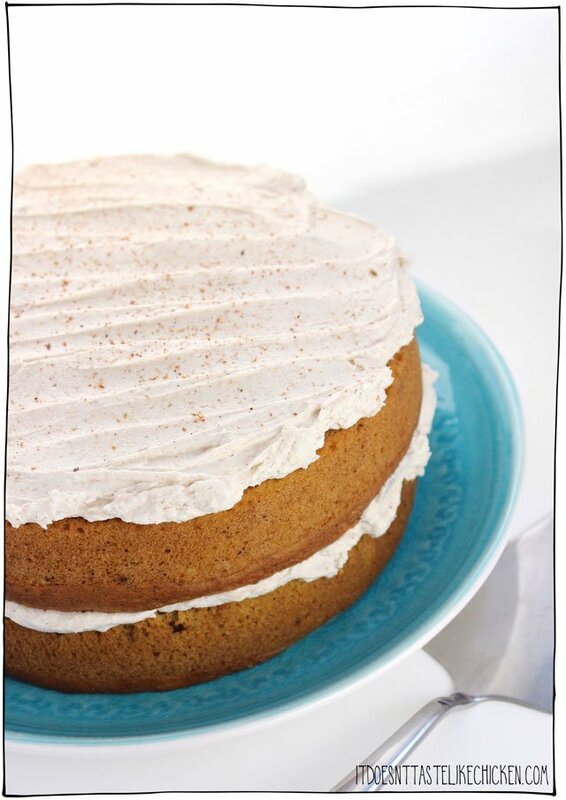 You better believe that’s a fluffy spiced frosting on there too. Initiate drooling sequence. 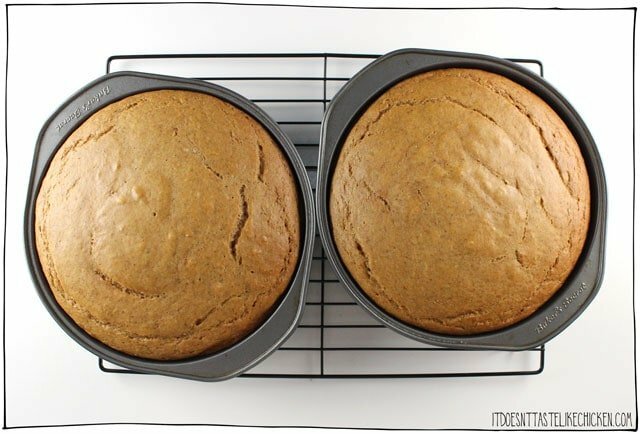 The pumpkin in the recipe makes this cake super moist, not too sweet, and it’s balanced with the perfect amount of party in your mouth pumpkin pie spice goodness. If you’re not the frosting type of person (who are you!? ), it’s great without as well and pairs marvellously with coffee if I do say so myself. I cut the sweetness of the frosting ever so slightly by adding a touch of apple cider vinegar. WAIT! Don’t run away. I promise this is a brilliant addition that sounds all sorts of weird but tastes amazing. It gives it a slight cream cheese frosting feel. Sam cooking hack 101. Don’t do it if you don’t want to (but you’ll want to). This is the perfect cake for Thanksgiving, tea time, to celebrate autumn, or just as an excuse to eat more pumpkin spice. …As if you even need an excuse! Every visitor I’ve had this week has happily walked away with a cake to take home. While my first test run of this cake was pretty great, I ended baking up 6 whole cakes. YES, 6! My house smells like pumpkin spice permanently I’m pretty sure (and I’m not mad about it). Call me nitpicky but I test my recipes multiple times before posting them on It Doesn’t Taste Like Chicken so that I know they will work perfectly for you. With this cake, it was a little tricky figuring out the perfect ratios of pumpkin but I finally nailed it. Woohoo! 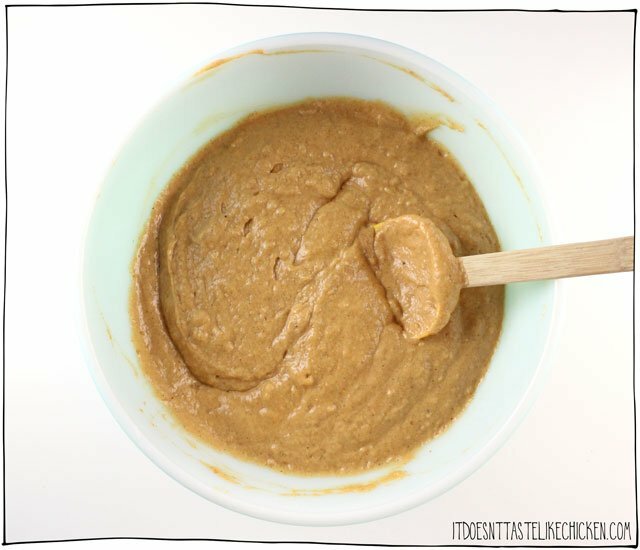 To make Vegan Pumpkin Spice Cake: in a large bowl, whisk the dry ingredients together. Then in a medium bowl, mix the wet ingredients together. Pour the wet ingredients into the dry and mix until the batter just comes together, don’t over mix. Divide the batter among the cake pans and give the pans a little wiggle to help flatten the batter. Bake for about 40 minutes until a toothpick inserted in the center comes out clean. Let cool completely before frosting. 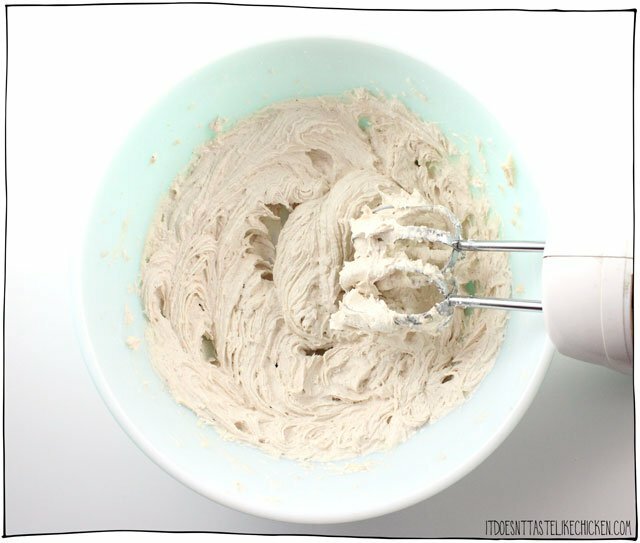 To make the frosting, mix all the ingredients together with a hand or stand mixer until fluffy. Frost your cake as desired. This time I kept it a little rustic by exposing the cake layers, but there is enough frosting to cover the whole cake if you prefer. I then added a little extra pizazz by grating a bit of fresh nutmeg on top. This easy to make, super moist cake is the perfect dessert for Thanksgiving or to welcome the autumn season. 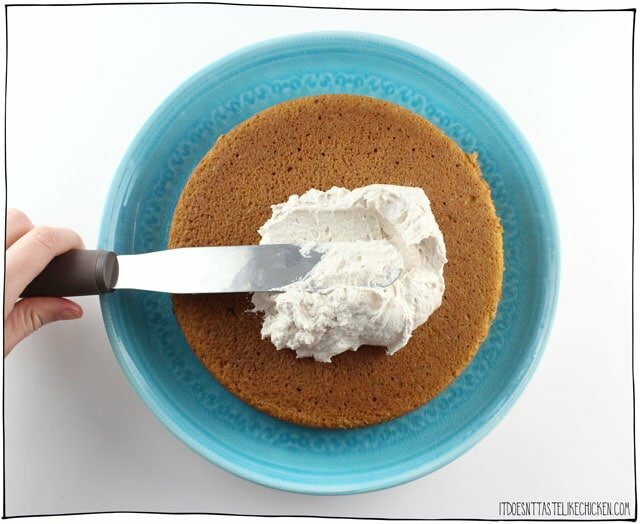 Spread with fluffy pumpkin spice frosting or serve without. Preheat your oven to 350 F (180C). Lightly grease two 8" round cake pans. In a medium bowl, mix the wet ingredients together. Pour the wet ingredients into the dry and mix until the batter just comes together, don’t over mix. Divide the batter among the cake pans and give the pans a little wiggle to help flatten the batter. Bake for about 40 minutes until a toothpick inserted in the center comes out clean. Let cool completely before frosting. To make the frosting, mix all the ingredients together with a hand or stand mixer until fluffy, adding 1 - 2 tablespoons non-dairy milk to reach desired consistency. Frost your cake as desired. This time I kept it a little rustic by exposing the cake layers, but there is enough frosting to cover the whole cake if you prefer. I then added a little extra pizazz by grating a bit of fresh nutmeg on top. I’m not vegan, but I am allergic to milk, cheese and butter. This is my go-to website for dairy-free recipes! I made this cake and it’s delicious! I made it in a bundt pand and dusted with powdered sugar. Yum!! Used squash purée and it came out awesome! Couldn’t believe how fluffy it was, great texture for something without eggs. We have a daughter that is allergic so finding good recipes is hard. This one is being saved! Awesome!!! So happy you loved the recipe so much, Jacqueline! Apple cider vinegar makes everything better! (Well, most things.) Seriously! I made this as a bundt cake (it needed to bake ~20 minutes longer than what you called for) and topped it with a chai glaze. So good! Next week I have to bake six cakes for a cake walk fundraiser and plan to have six varieties so I test baked this one last night.It came out beautifully. I took it to work and it got, overall, rave reviews. It is fairly sweet so a small piece goes a long way (which is really nice). lovely page and recipe, however i never manage to get the right consistency frosting. ever! could you please advise on what brands i could use for the butter and shortening? I like in the UK so they most likely be different but it would help me compare with the ones i buy? I use Earth Balance brand. Make sure the vegan butter your working with is cold and firm, not melted. You want to make sure you’re using a powdered sugar (sometimes called icing sugar or confectioners sugar). If you’re doing all of that and still have the problem, then I would start with less vegan butter and slowly work your way up as needed. This looks wonderful! However, I am WFPBNO (whole food plant based no oil) so I was excited to see this listed under the Oil Free Recipe section. Sadly, I click on the recipe and it has oil. I can manage the cake and replace with applesauce but the icing has vegan butter and vegetable shortening. YIKES! I’ll have to search around for another oil free icing recipe. I’m so glad I found this recipe! It’s lovely that it’s so fuss free and doesn’t call for anything too crazy. I live in China so finding weird vegan ingredients that some recipes call for can be near impossible and I only have a toaster oven but this still turned out amazing. I decided to not do frosting and it reminds me of my favorite pumpkin bread from my pre-veg childhood. I made this for our Thanksgiving dessert. Only hiccup was that I didn’t actually have icing sugar to make a frosting, but we ate these up regardless! So tasty and delicious! Hi Sam! This looks delicious! 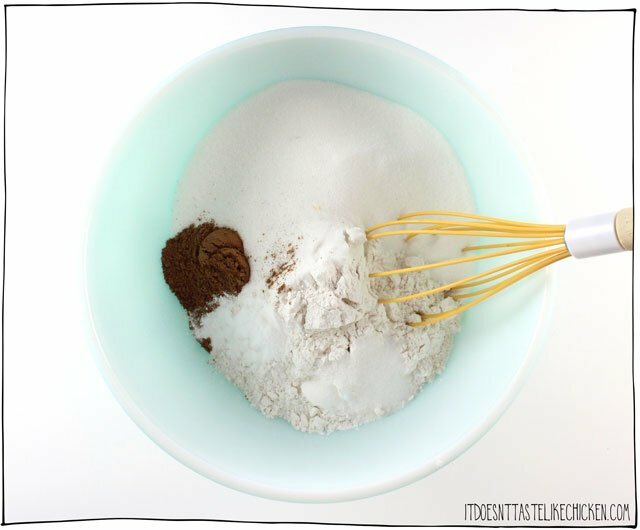 could I use a bundt pan instead of two cake pans? Hi Coleen! Yes, that should work, but the baking time would likely be much longer. Here is some info on it for you to check out. Enjoy! I made this cake for my father’s birthday and it got rave reviews. My husband, who claims he doesn’t like pumpkin, went back for seconds. I turned these into cupcakes. It made about 20, and I cooked them for about 20 minutes. The only recommendation I would make is to leave the vinegar out of the icing. I found it too overpowering, and ended up making a second batch of icing without it. I think the icing is just fine without the vinegar. Have you ever made cupcakes from this recipe? If so, how many does it make and what was the cooking time? 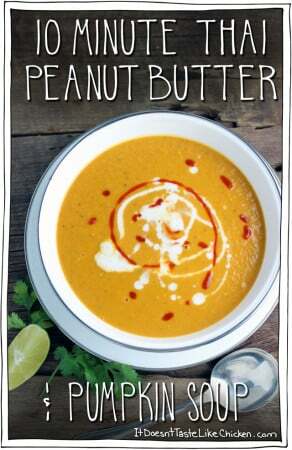 Love this recipe and you’re book! Thanks Dawna! This recipe would make about 24 cupcakes. The oven temp would be the same but the baking time would be reduced. I haven’t tried it myself so I don’t know the exact time, but I would guess they would take about 2/3 of the time to bake. Keep an eye on them and do the toothpick test. Enjoy! Just made this today! Wowie wow the flavors are so yummy! Tastes just like fall. Thanks for sharing. Wow wow wow! This is the most amazing cake EVER! I made it as the conclusion to a plant-based meal I prepared for my omnivore friends (it was my month to host our book club and to provide our food) – it can be quite challenging to find things to eat that satisfies everyone but I can say that everyone loved this cake… and wanted seconds! 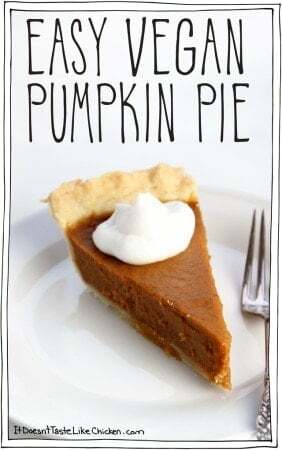 I even shared with my son-in-law who isn’t a pumpkin spice fan but he was pleasantly surprised at the flavors and said he’d eat another piece – if I had one to give him! Thank you! PS. I made it in a glass 9×12 pan and it turned out great! I’m making this recipe for a friend’s wedding in a couple of weeks, thanks for the recipe! I’m starting my first practice runs, and so far, it’s tasting delicious but the consistency is slightly dense, more like pumpkin bread than like a cake. Any idea what I could be doing wrong? I’m at high altitude (Colorado) and I’m not sure how to adjust for that, so that could be part of the problem. Also, would you recommend cooling the cakes in the pans or taking them out right away? Hi Allison, I don’t know anything about high-altitute cooking so I can’t help there. I let the cakes cool in the pan. If you find the cakes too dense it may mean that you are overmixing them a bit. Hope that helps! 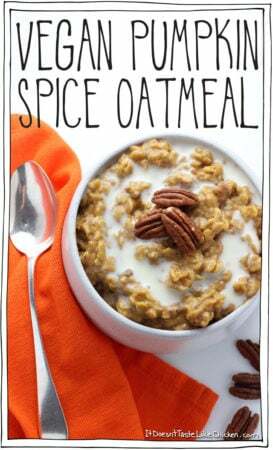 Get really excited for fall and want to make this recipe in August! However I never have apple cider vinegar around. What would you think is a better sub – lemon juice or white vinegar? Either would work, but white vinegar tends to have a strong flavour so I would use the lemon juice as you will likely taste it less. Enjoy! I tried this recipe but turned it into a carrot cake by using the same ammount of grated carrots instead of the pumpkin-puree. 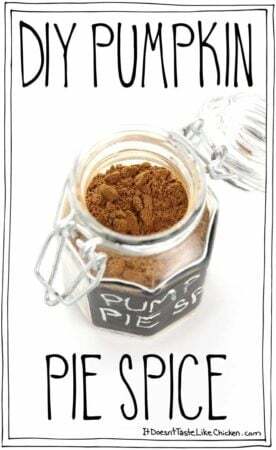 I am from Germany and we dont have these cans of pumpkin puree available in stores and as the pumpkin season is over I could’nt make my own. 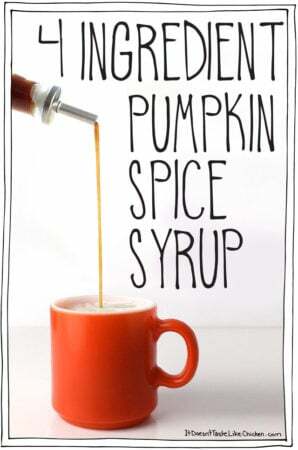 I also dont have pumpkin spice, maybe I buy it online sometime Go try the original recipe. Thank you for your time and efford to make these recipes available to us! I set this recipe aside last fall and finally made it a couple of days ago. This is my first cake to bake since we became vegans two years ago. It is so flavorful. I’ve made several of a variety of your recipes and want to thank you for your creativity. Too bad I waited so long to taste this deliciousness! 2 would mean “2 8″ layer cakes with frosting”, enough for a 2 layer cake as shown in the pictures. A 2 layer cake usually makes 10 to 20 servings (depending on how thick of slices you like). Enjoy! Favorite fall cake. I make it with GF flour and it turns out perfect every time! My kids love it too. I am going to make this for Thanksgiving! I am a relatively new vegan so I am still trying to figure things out so sorry if this is an obvious question! Why do you use both vegetable shortening and vegan butter in the frosting? Is it a flavor thing, or could you just use something like Earth’s Balance for both? I am going to get both and make it like you suggested, I was just wondering for future reference! I will let you know how it turns out after Thanksgiving! Hey, what if I do not have pumpkin puree? Can you please tell me her w to make it at home ? You can follow any recipe, such as this one. Unfortunately, it is in German, but the pictures should speak for themselves! The Halloween-Pumpkin-Brownies with Pumpkin-Buttercream-Icing were so yummy! 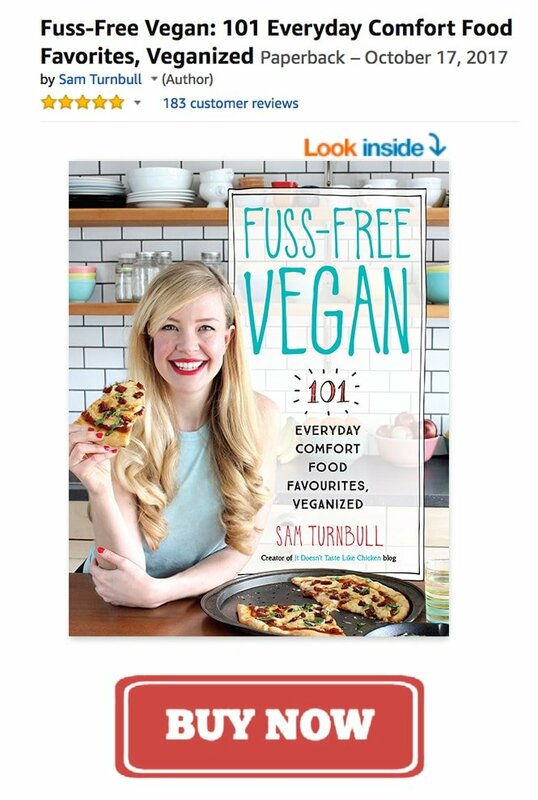 You are a great inspiration for vegan cooking and baking – thank you so much! This recipe is AMAZING! Thank you so much for sharing it! In my icing instead of regular plant-based milk, I subbed Caligula Farms Pecan Carmel Almondmilk creamer… and it seriously was like caramel pecan/pumpkin pie icing!!! Thank you! Can you use sweat potato instead of pumpkin puree? Just made this; delicious! The Apple cider vinegar gave the frosting the real cream cheese taste. Thank for sharing your amazing recipes! I made this to celebrate my dad’s birthday last night, Sam, and it was delicious! Bonus that it was easy to make with readily available ingredients. 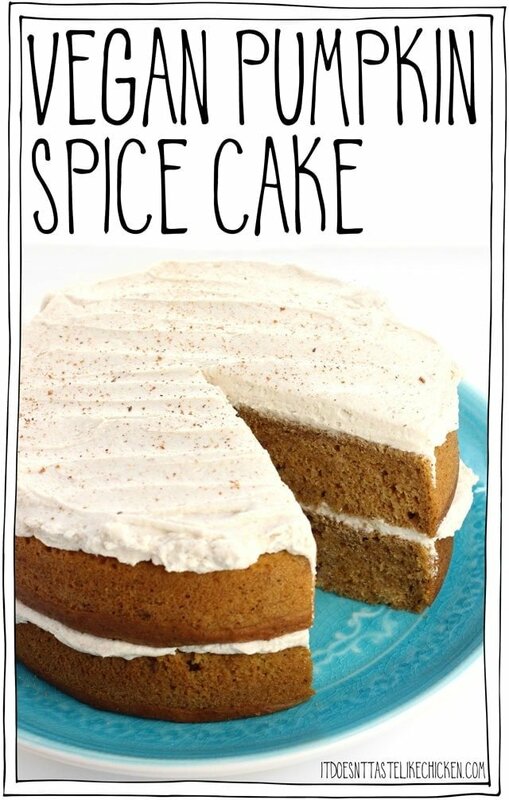 It’s the Pumpkin Spice Cakes of everyone’s dreams. Thanks for the recipe! Saaaaaam! What Vegetable Shortening do you use? I found out Earth Balance has been discontinued! 🙁 I work in a Health Food Store and we haven’t been able to get it in! I contacted Earth Balance and they said it has been discontinued in Canada and the US! I don’t like the ones in the grocery store, they all use hydrogenated oils. Have you ever tried the Spectrum or Nutiva brand of shortening? Oh no, I didn’t know that the Earth Balance one had been discontinued. That was normally my go-to, but when I’m lazy and don’t want to go to a health food store I use regular Crisco. I haven’t tried Spectrum or Nutiva but I am sure both would work great! Thanks! I’m going to search our catalogues and see if we can find a suitable replacement! 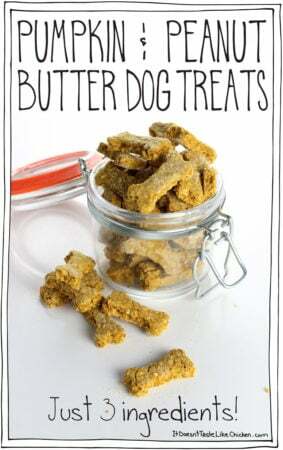 We have had customers asking, especially now that baking season is full on! My dad’s birthday is right on Halloween and normally we would have massive amount of pumpkin from people… I could use those for this recipe! Oh boy. I think this is going to go over very well this weekend when I have my non-vegan parents over. Thanks for making yummy SO easy. Just to let you know, my dad, who is as traditional as they come, liked this cake so much that he suggested that we replace pumpkin pie with it. So, I may be making this cake again next weekend for our Thanksgiving meal. You were right. You could eat this cake without the frosting and still get that pumpkin satisfaction. But, the frosting with the apple cider vinegar is awesome. Also, I just wanna say thank you for this amazing blog! All recipes I’ve tried were amazing. I lived in Canada for a while and coming back to Denmark and discovering vegan recipes for nanaimo bars and poutine has been perfect for when I’m feeling Canada homesick! Hi Freja, yes you can use all vegan butter. The frosting will be a little softer, so might want to reduce or omit the non-dairy milk, and keep the cake in a cool place so it doesn’t melt. Enjoy! Made this and your chocolate cake recipe for a party I had last night and both were devoured and loved by everyone! I got so many compliments and I will definitely be making this repeatedly in the future! Thanks so much for this recipe!! I was wondering if you know how this batter would work if I wanted to make a loaf instead of 2 cake rounds? Hi Jamie, it should work ok, but use this helpful chart to help you. Make sure the measurements match up. It looks like you will be able to half the recipe for a medium loaf pan. Also, the cooking time will likely be a little longer, so make sure it is done by inserting a toothpick in the middle. Enjoy! Oh.My.Gosh. Amazing! So I saw this on facebook this morning, and I’m like nah, I can wait on it…I’ll make it for Thanksgiving or something….Well, couldn’t wait, went to the store, grabbed me some pumpkin, and just made this cake exactly as written. It’s SO unbelievably delicious, and made my kids very happy! 🙂 I love how simple your recipes are and easy to make. I wasn’t sure about the apple cider vinegar in the frosting, but yeah, it works! It gives it a little “tang” like cream cheese frosting. Thanks Sam! I cannot even express my excitement at seeing this recipe this morning. A million thanks! I wanted to make something pumpkin today but couldn’t decide what to make. Decision made!!! So I finally got around to making this last night. It’s amazing! Perfectly pumpkin spice! You’ve done it again, Sam! I sent the recipe to my friend, but she can’t have apple cider vinegar. She can’t have lemon juice either, so can’t sub that out. Is it possible to omit it? Would she want to increase the baking powder or baking soda? Yay!! Thrilled you enjoyed it so very much 🙂 You need an acid to activate the baking soda which helps it rise. Without an acid, it will be too dense. Can she use another type of vinegar?